What is a dorade box? In simple terms, a dorade box, or collector box, is intended to extract water from air intakes leading into the engine or other compartment. Although sizes and shapes vary from boat to boat, the principle is always the same. 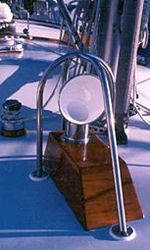 The Dorade Box is a single chamber system with a baffle between the intake air supply and the interior space-air feed. The baffle helps keep smaller water droplets from being carried through by the incoming air. As a result, most of the water ingested through the air intake drops to the bottom of the box and is drained away, either through weepholes onto the deck, into the bilge, overboard through a dedicated vent above the waterline, through the hull, or to a sump, to be automatically pumped overboard. 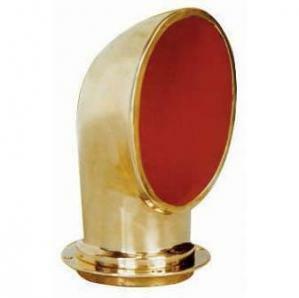 This ventilation system was named after the yacht Dorade, which was designed, navigated, and sailed by American naval architect James Stephens. The Dorade was the winner of the 1931 Transatlantic and Fastnet races. Build a custom dorade installation in 3 easy steps. Start with a dorade box. Next choose one of our stylish cowl vents. Add any of these accessories to complete your custom dorade system.